There are two things that are confusing and contradicting-push notification and texts. There are closely related to an extent that it can be tempting to lump them together and even treat them the same way. They are all focused at drawing the customer’s attention and they can arrive on the user’s mobile device and they also have an average open rate that are over 90 percent. I know it has bothered you asking what is a push notification and why would anyone argue that they are better. In this brief, we are going to face the tasks that are difficult to establish and get a clear distinction between them. 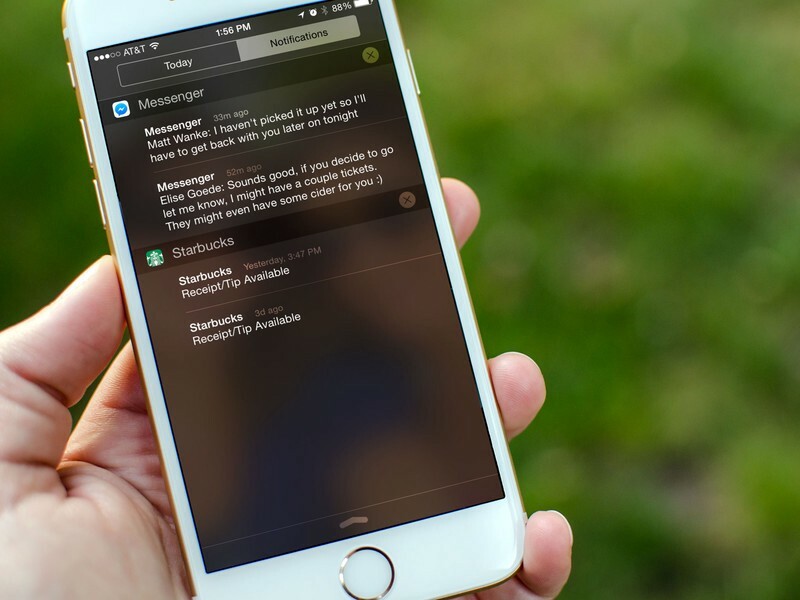 In simple terms, a push notification is a message that pops up on a mobile device. As a marketer or an app publisher, you can send push notifications at any time. The reality of the matter is that the users shouldn’t be on the app or on their devices to receive them. These notifications are used to show the latest sports, updates and also gets the user to take action such as downloading an eBook or just letting a user know something about an event. Push notifications are also used to tell the customers about a price drop, an offer or even a new product that you just got into you shop. They usually look like sms notifications but they only reach people who have installed your aap or those who have enabled notification alerts on the website. Each mobile device has their own mobile support for push notifications. They allow updates and alerts to reach out to users through short messages through which users can respond to. You should get more information on Website push notificationsto ensure you completely understand what they are. How do people perceive Push notifications? There are a times when push notifications come downright on annoying times. They can be a disruptive invasive annoyance and at the same time offer a better channel of communicating your intentions and updates to the customers. They can as well offer irrelevant information and feel impersonal to the users. However, there is one thing that I want you to put in mind, push notifications are not a problem but the way they are used is the real deal. Marketers who are irritating their users and customers are likely to hurt their businesses directly through push notifications. What this means is that you can use push notifications to retain more of your mobile users and at the same time you can hurt them. The real thing is to understand best practices for doing so. There are a couple of users who have a hard time remembering that they have a certain app on their device. The good thing with push notifications is that they help these services deliver timely and relevant information to the users. This is what keep the users updated and at the same time reminds them to check on the apps time to time. There is a recent study by Martin Pielot, Karen Church and Rodrigo de Oliveria ‘’An in-situ study of mobile phone notifications’’ which shows that on average, mobile phone users receive over 63.5 push notifications in a day. Push notifications are a clean way of notifying users and alerting them on information that they have opted-in to from services and apps. There are three types of notifications. They include User Notifications, Transaction notifications and System notifications. These are used to notify users of new messages from their friends. They are especially important in notifying users of actions that their friends are taking on social networking applications and emails. These alerts are used to notify users of events. They usually inform users of their shipment, delivery or even an up-date of something that has happened on the website. If you have a price drop, a discount or even a new product that you intend to sell lower on your site, then this is the best type of notifications to take into considerations. These are used to inform users and the subscribers of new product features or even opportunities. They are especially important for online retail shops or any other shop that keeps on updating product features and jogging around with prices. One thing that most people don’t know is that push notifications originate from the server. What this means is that the end user must subscribe to receive them. This process usually takes place during the install process. The end users are also provided with an opportunity to manage alerts in case they change their minds later on. The other thing is that different devices rely on different mechanisms of receiving push notifications. Apple developers use APNs developers’ application programming interface to enable their apps deliver push notifications. Some others use mobile backend as a service cloud service to provide push notification for a mobile app. How to perfectly use Push Notifications to scale your business? The first thing here is that you should give the users and customers an exclusive opportunity of either opting in or out of the notifications. Most users usually opt out from receiving more notifications unless there is a great value for them. You need to explain the relevance of opting-in for the notifications before prompting for notification permissions. I bet this is the best practice than just jumping to sending notification messages directly to the users. You need to first of all send a ‘’using permission’’ message before jumping into the task. This practice increases the likelihood that the users will stay subscribed. If you irritate them with messages before they even start using your services or even buying the products, they are likely to opt out or even leave the app or the website completely. The second thing is that they capture user intent with buttons like either ‘’enable’’, ‘’disable’’ or ‘’ask me later’’. It also triggers a permission request if user indicates intent. If a user denounces the request by the app to receive push notifications, they will still get the chance later on once they have actively engaged with it. Why should you care about push Notifications? Push Notifications are designed to serve as a channel of making your app engagement a success. They are designed to serve as an escalator to your app success. For this reason, you should care about web push notifications. Here, I am going to describe some of the reasons why you should care about them. The reality of the matter is that the higher the engagement rates, the higher the retention rates. What this means is that as long as your users remain engaged, they are likely to stay. Push Notifications are specifically designed to keep your users intact and always remind them of something that they should keep intact on the app. They usually improve the user retention rate by 2X. There are some of them which have reported a 5X retention rate. There are several apps that are competing for the same market. For this reason, you should keep your users and customers intact. One thing that Push Notifications help in is by increasing the app engagement. There is no better way of keeping your users engaged and connected than using push notifications. They boost the app sessions and engagement by over 88 percent. What this means is that in every 5 seconds, you have the ability of turning a user into a fun. Do you remember the time when push notifications used to be impersonal with limited purpose of feature updates? That is the time that has passed, they now serve another purpose. They are now personal, custom made by taking the consideration the account user data like demographics. This establishes an affinity with each user based on his PI (Personal Information). They make this extremely easy by providing you with a 360 view of your users in general and also for those who engage and interact with each message. They are perfect in keeping each and every user with updates that concerns them. You alert your users of anything that can be informative or even relevant to them. If you are a product selling website, you can usually keep them intact with everything that they need to buy a new product in the market. You can alert the users of important updates. With push notifications, you can send custom messages to your customers that can in one way or the other keep them or inform them to always be coming back. The reality of the matter is that you can send a beautifully designed push notification in seconds offering several things that you want to communicate to your customers. This can help you bring new customers and at the same time keep them loyal.